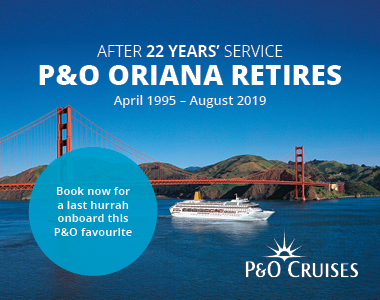 Oriana is one of the most popular classic ships in the P&O Cruise's fleet but is to be replaced by two new, much larger ships in August 2019. The first is Iona, scheduled for 2020, while a second matching ship is set for 2022, as of yet without a name. For more details on Oriana retirng, see our blog. The latest of P&O Cruises ships to become an adult only ship, the Oriana is 69,000 tonnes and carrys 1,800 passengers which gives her a more intimate feel than the new super-liners. A long time favourite with P&O and Iglu Cruise customers P&O Cruises Oriana combines the classic lines, comfort and ambiance of a traditional cruise liner. The quintessentially British feel of the ship is enhanced by the Lord Tavern and Tiffany's coffee and chocalate bar along with Marco Pierre White's restaurant Ocean Grill. 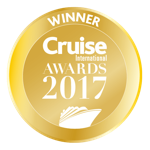 Oriana cruises has a range of itinerary options great for those who prefer not to fly, they include Mediterranean cruises, Baltic & Fjord cruises and transatlantic no fly Caribbean cruises. The Oriana offers many different dining options from the traditional dining room to a variety of speciality restaurants. Club Dining in the main dining room allows you to enjoy a stunning setting and sociable atmosphere with different five course menus every night. If you want to try something different to the main dining room then Oriana boasts a fantastic variety of other restaurants. The Ocean Grill offers a special dining experience with celebrity chef Marco Pierre White serving up delicious dishes from the grill. Sorrento is the Italian speciality restaurant onboard that offers a fantastic European atmosphere, presenting a range of delicious Italian favourites and some ‘cook your own’ dishes! Oriana offers a great variety of entertainment from West End style productions in the Royal Theatre to the Casino. For a relaxed afternoon you could enjoy delicious coffee and chocolat's at Tiffany's or taking in the view from the Crows Nest bar at the front of the ship. For the sports fans a trip to the Lord's Tavern could be in order and not forgetting the Pacific Lounge for live entertainment. With such a variety of lounge bars, cafes and live entertainment there is more than enough to keep you busy onboard Oriana. 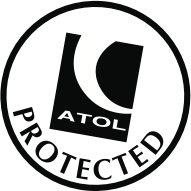 There is also duty free shopping, the internet cafe, professional photographers onboard. With events like the Captain's cocktail party and sail away party there is always something happeneing onboard. Oriana has a great selection of spa and fintess facilities onboard. To start with there are three pools, and 5 whirlpool spa's along with the oceanview gym. For those wanting to be pampered there is a wide selection of treatments available in the Spa or you could take a trip to the Salon where the highly trained staff are on hand. Making the most of her larger size, Oriana offers plenty of onboard activities. Curl up with a book on a sun chair across the teak promenade or find a quiet corner in the cosy library. And when it's time to meet up, there are plenty of lively bars and venues across the ship to set the perfect tone for what is sure to be a brilliant evening. The dress code onboard Oriana offers the perfect balance of formal and casual. Most evenings on board are smart casual in the dining rooms and restaurants, this means jacket and trousers for gents and casual elegance for ladies. The formal nights onboard are black tie for men and cocktail dresses or full length dresses for ladies. For those who prefer more casual evenings onboard head to the buffet restaurant where the dress code is casual. Went on the ship for very first time and loved it wish I had found it earlier. Now lost it altogether as it’s going to be a casino what a shame. Never had such nice staff and very relaxed feeling to the ship. I want to go on last cruise but on own and the price for single is double. The person who wrote about Oriana breaking down, forgot to mention we were all compensated £100 each AND given free champagne with dinner. HOT FOOD WAS available ( we had ckkoed breakfast) and a Arbeque was provided on deck 13. As the lifts were out crew carried anyone who could not walk up to 13 if they wished to go. The power was off for 6 hours on many decks and 8 hours on others.Yes we went to a port we had already visited, but surely that was better than breaking down again. It was a major problem and was resolved. Stop whining and get on with life.